Regardless of whose story is true or what party wins out, today’s Senate hearings with U.S. Supreme Court nominee Brett Kavanaugh and Dr. Christine Blasey Ford, the woman who has accused the jurist of sexual assault, have been about one thing: political expediency. That truth, whether you’re conservative, liberal, or somewhere in between, is heartbreaking. Ford’s experiences, whether they involved a nominee for the high court or not, should never have occurred and their ramifications certainly should not have been dealt with from a nationally televised seat in front of a panel of Democrats and Republicans. Despite her somewhat confusing questions and the wonky five-minute format of her inquiries, Rachel Mitchell, the independent prosecutor questioning Ford on behalf of the Republicans on the Senate Judiciary Committee, seemed to be the only one looking out for the 51-year-old college professor’s best interest. 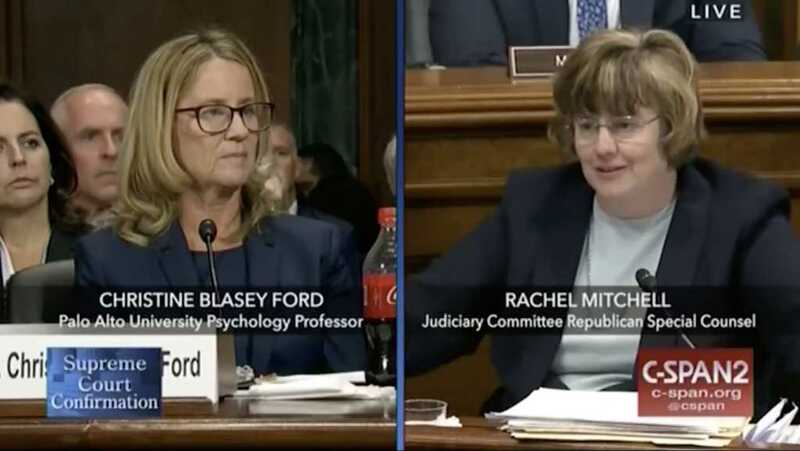 Mitchell simultaneously sympathized with the predicament in which Ford found herself and indirectly called out Democratic lawmakers for failing to put Ford’s best interest above their own political goals. “That makes a lot of sense,” Ford replied. Mitchell, hoping to make an important point, then asked Ford a question for which she already knew the answer: She asked if the offices of either Sen. Dianne Feinstein (D-Calif) or Rep. Anna Eshoo (D-Calif.) encouraged her to seek a forensic interview before taking her accusations against Kavanaugh to the public. Ford, it should be noted, sent a letter to Eshoo in early July. President Donald Trump nominated Kavanaugh on July 9. Feinstein waited until September, after Kavanuagh had already been nominated and endured hearings over his nomination to the Supreme Court, to reveal the details of Ford’s previously confidential allegations. But rather than deal with her allegations through appropriate counseling avenues, Mitchell noted Ford was encouraged to retain a lawyer and take a polygraph test. Regardless of who “wins” or what happens with the vote to place Kavanaugh on the Supreme Court, we — as Christians — have an obligation to listen and to put victims first. There’s no way to unequivocally know the veracity of Ford’s claims or Kavanaugh’s denial, but we must be humble and gentle enough to hear each of them out, putting principle far above politics.